US equity indexes closed fractionally mixed, sp +3pts at 2468 (intra high 2474). The two leaders - Trans/R2K, settled +0.1% and u/c respectively. 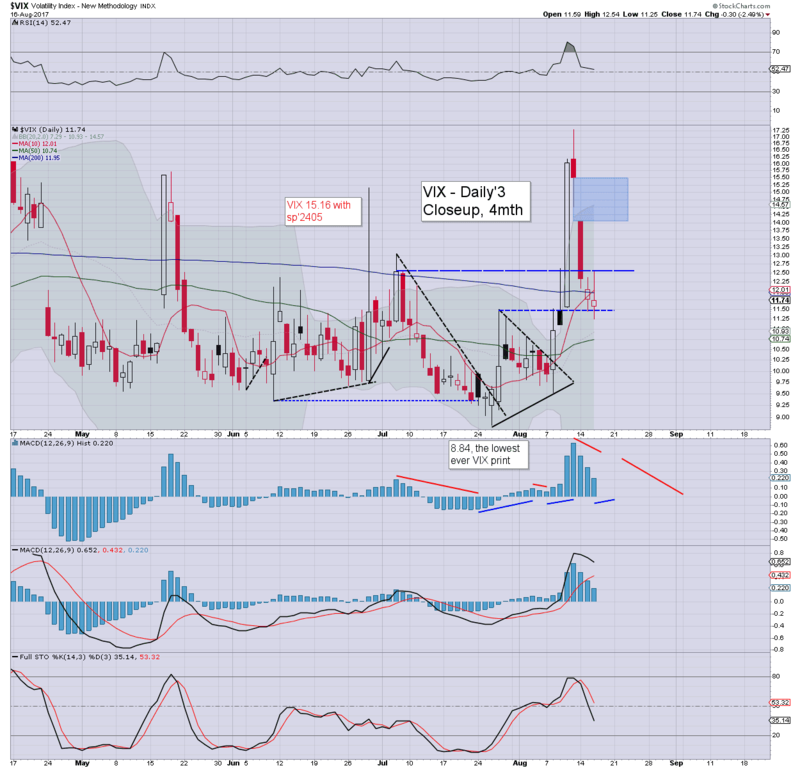 VIX settled -2.5% at 11.74. 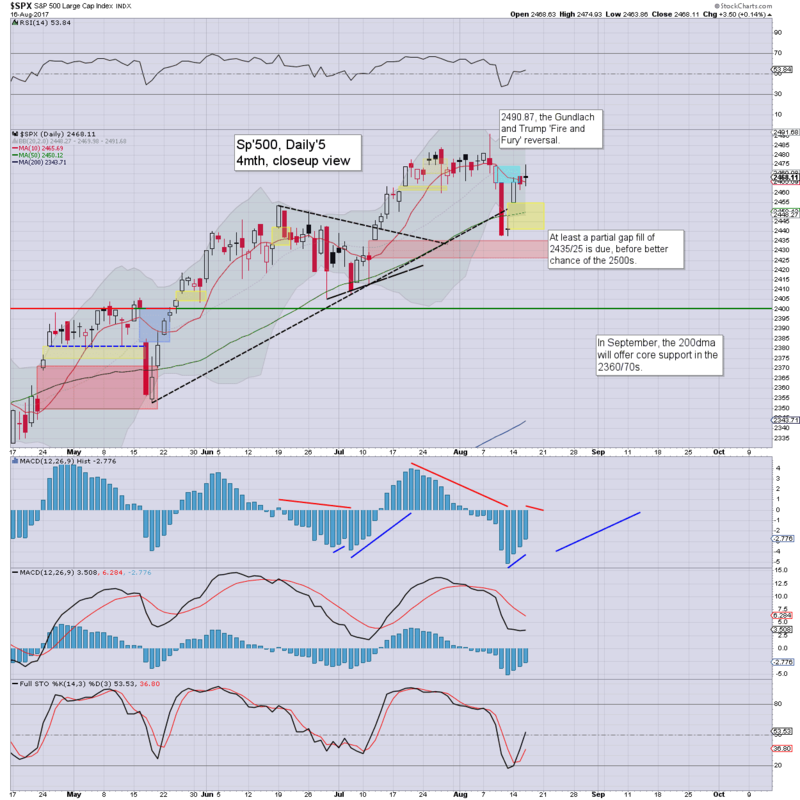 Near term outlook offers a swing lower to at least 2454 before the weekend. It remains notable that the gap zone of sp'2435/25 is yet to be tagged. US equities opened a little higher, and battled upward, becoming stuck at upper gap resistance of sp'2474. There was a rollover, helped by more 'Trump drama', and a pretty uninspiring press release from the Fed. The close was somewhat weak, and note the settling black-fail doji candle. Market volatility remains rather subdued, with the VIX settling in the 11s. However, another spike to the 15s seems probable, not least as the gap zone of sp'2535/25 is yet to be tagged. 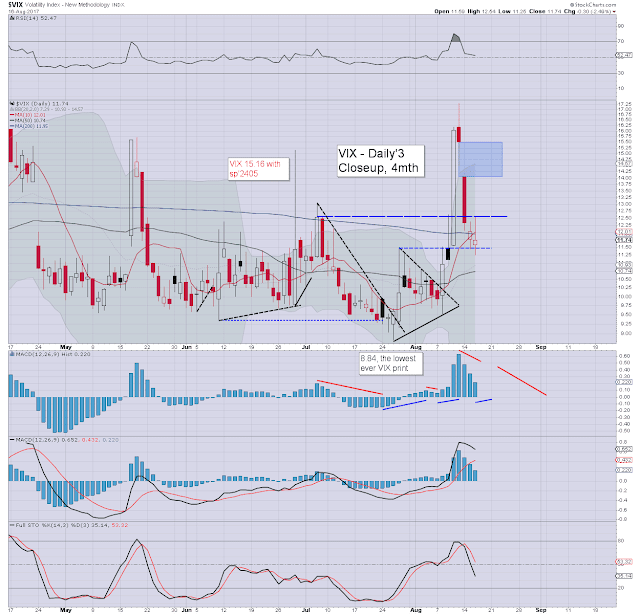 A divergent lower VIX high (<16.66) - relative to last Friday, would give high confidence of a floor. Anyone who has watched, or directly traded equities for as little as a few months, should have come to recognise that opening price gaps - whether up or down, are (almost always) filled. Just consider the opening price gap from April 24th, leaving a gap of 2348/70. After some weeks of chop, the market saw a one day washout on May 17th, with a slightly lower low on May 18th of 2352. So, it wasn't a 100% fill.. but it was close enough. July 12th saw a new gap of 2425/35. Last Thursday saw a washout to 2437, but that was notably 2pts shy of the minimum target of the upper end of the gap. 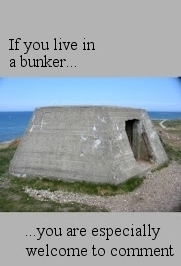 In terms of the July 12th gap... consider this.. So.. of the six main indexes: 2 are yet to even be partly filled, 2 partly filled, 2 fully filled. The sp'500 is arguably the most representative of the US equity market, as most would agree. Until that index at least partly fills the gap, I consider this 'technical issue' unresolved. The fact the two leaders - Trans/R2K, have both filled the gap, lends credence to the notion that the sp' and dow will eventually follow. Clearly, the primary trend remains bullish, but there will always be sporadic drops, and those will (usually) fill any recent opening gaps. To me, there is zero reason why sp'2435/25 won't at least be partly filled, before resuming upward to the 2500s in September. I hope that gives clarity to the basis for some of my recent reasoning. If you value my work, subscribe to me. 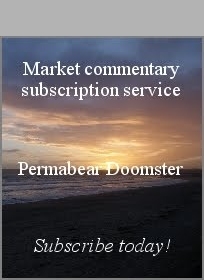 For $20pcm, I typically provide 500 charts, 40,000 words across 200 posts each and every month.